iPhone X /XS Max/6+ users are facing issue with GPS that for apps while using the GPS, it is not working properly. If you are using the location service eg Google Maps and Apple Maps can never pinpoint the location. For other apps which uses GPS like Waze are persistently gives error “No GPS” or “Looking for GPS”. It seems that the GPS is not turning on properly on the iPhone X. Not only iPhone X but the iPhone 6s, iPhone 6 plus, iPhone 8 users are facing GPS issue as well with latest iOS 11.4/iOS 12. Even iPhone X GPS is not working with iOS 12. The same problem is reported with iOS 11.4.1. The GPS issue makes the maps completely unable. There is seriously something wrong with the iPhone X GPS. Not only GPS but some iPhone X are also facing WIFI dropping issue. This is serious issue specially for those people whose business depends upon GPS/location. Sometimes the GPS seems to load fine but as you will start the apps using it GPS the iPhone has no clue which direction I'm actually facing in Google maps and sometimes just shows me spinning around or showing incorrect rerouting options The iPhone GPS issue does not seem to be a software issue and seems to be hardware failure as many devise are reported to be affected with this. needs to be resolved. 1. Go to Settings > Privacy > Location Services and make sure that Location Services and Maps is set to While Using. 2. Make sure that you set the date, time, and time zone correctly on your device. Go to Settings > General > Date & Time. If possible, use Set Automatically. 4. Make sure that cellular data or Wi-Fi is on and that you have an active connection. 5. Try a different location or switch to a different Wi-Fi network. Resetting “all settings” seems to resolve the issue for a while but the GPS issue may occur again and will not work. Please take up the back up before doing the factory reset and restored it back, it should fix the issue solved for some weeks. A temporary fix. It is observed that the GPS problems seems to fix if you totally disable LTE. If your keep iPhone on 3G and the GPS seems to continuously work fine. Please test with this settings. 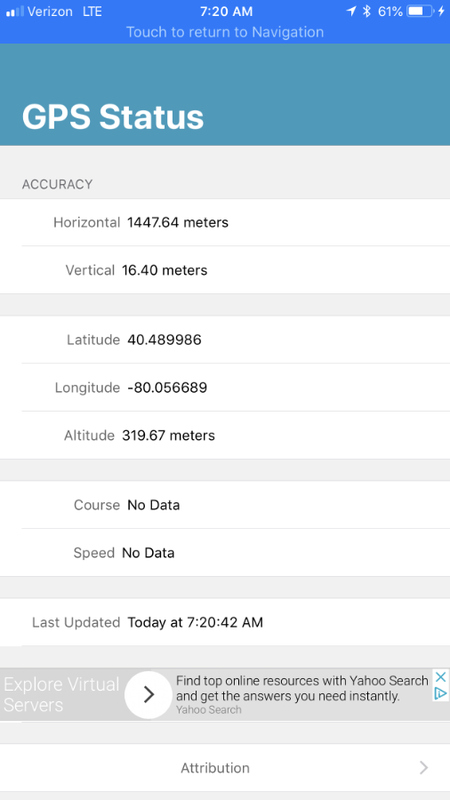 If nothing seems to work to fix the GPS issue on iPhone X please downgrade the iOS to the version where it was working and GPS was stable. Please follow the iOS 12 upcoming updates for permanent fix for the issue. In case the issue still persist we would recommend to take the iPhone to Apple Support center and claim for a replacement.